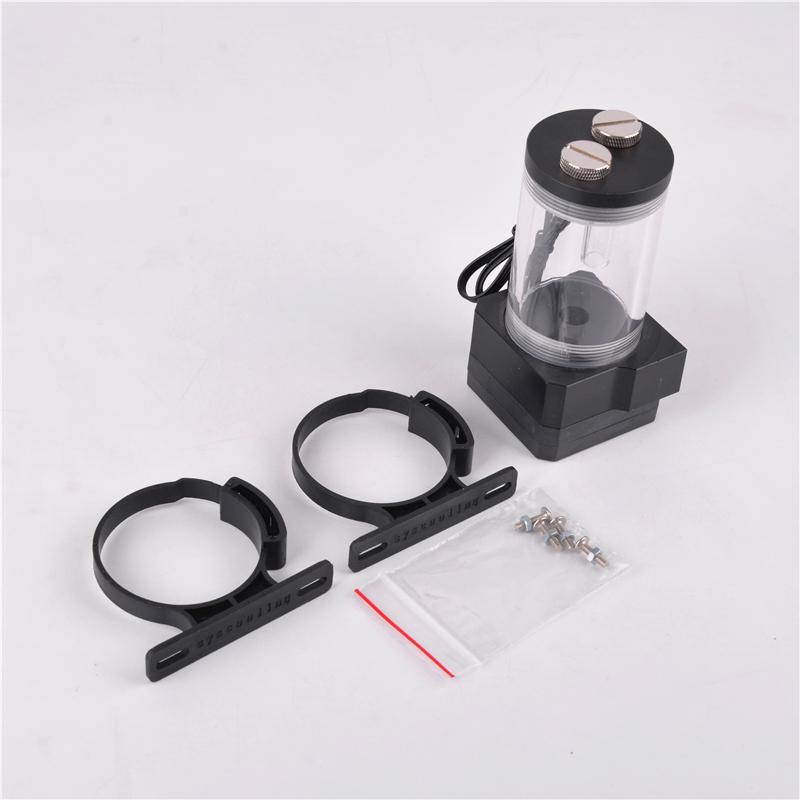 P90 water pump uses mainstream black pump body and transparent acrylic cover, simple and beautiful. Dimensions are fully compatible with D5, user-friendly replacement of all commercially available D5 pump head armor. SC-P90 Mini Water Pump head comes with multi-color adjustable highlight LED version optional, touch the colorful world immediately. The Maximum flow of our micro pump can be 1300L / hour, the maximum lift is 5 meters, strong performance as a powerful heart. 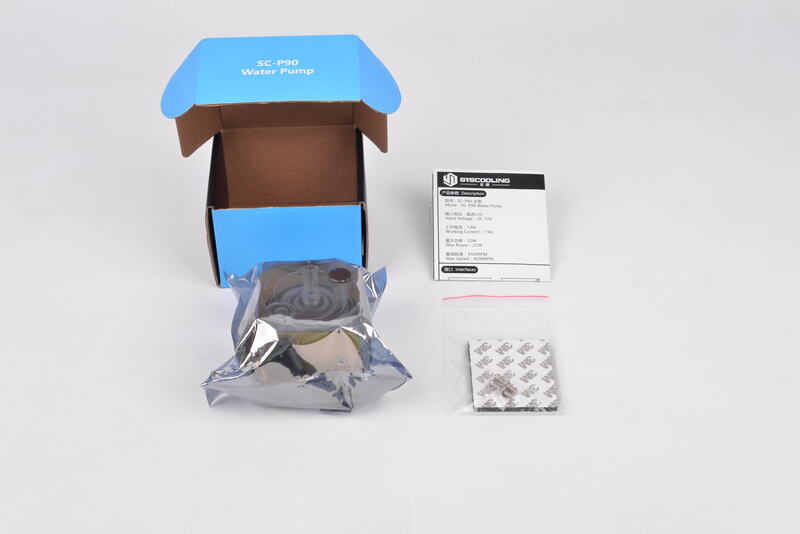 The core technology makes P90 pump has a better performance compare to D5 pump. Flow increases 10% and 15% lifting for raise. It is the best mini dc pump in this level. Looking for ideal Cooling Tower Water Pump Manufacturer & supplier ? We have a wide selection at great prices to help you get creative. 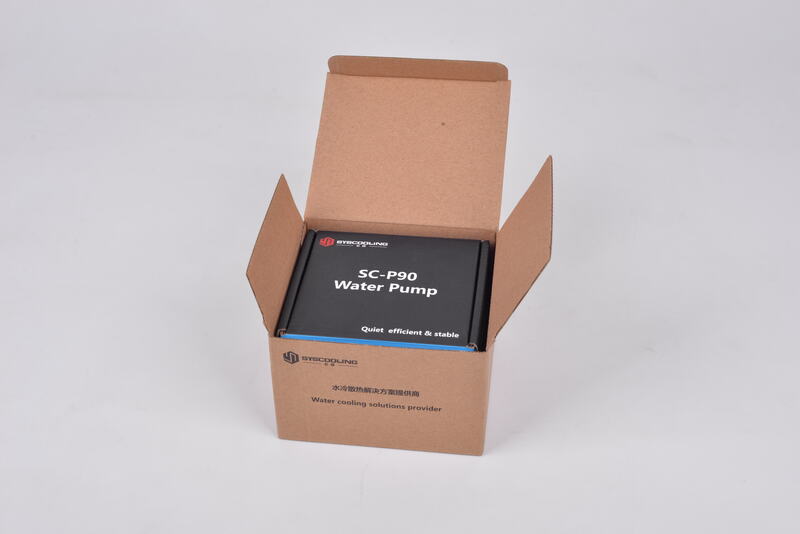 All the Computer Water Cooling Pumps are quality guaranteed. We are China Origin Factory of Pressure Water Pump. If you have any question, please feel free to contact us.